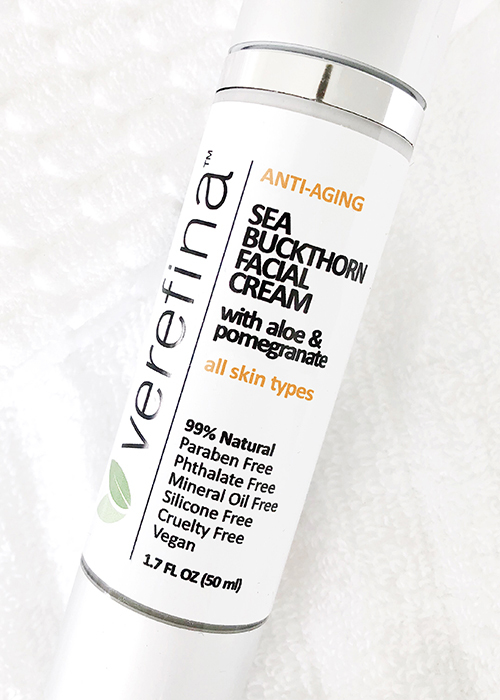 At Verefina, we recognize the value of a TRULY safe and natural alternative to the sea of toxic commercial products available. We believe personal care products should be made from the very best of nature and none of the toxic ingredients. Verefina makes it easy to limit your exposure to these chemicals, and by doing so helps to prevent disease and adverse health consequences. Preservative linked to breast cancer, hormone disruption, allergic reactions, and infertility. Produced as a byproduct of the distillation of gasoline from crude oil and toxic to the nervous system. Suffocates and ages the skin and disrupts the skin's ability to eliminate toxins. Believed to be cancer-causing agents. Labeled as FD&C or D&C, followed by a color and a number. Example: FD&C Red No. 6 / D&C Green No. 6. Considered to be among the top five known allergens and are known to both cause and trigger asthma attacks. Also linked to immune system damage, sensitization, brain damage, hormone disruption, and cancer. Detergents and surfactants that pose serious health threats. Used in car washes, garage floor cleaners, engine degreasers and 90 percent of personal-care products that foam. May damage skin’s immune system by causing layers to separate, inflame and age. Contributes to yeast infections. May cause hair thinning. Builds up in the heart, liver, lungs, and brain. Contributes to cataracts & improper eye development in children under 6. Allows 40% MORE toxins to enter the body through the skin. Synthetic “antibacterial” ingredient registered by the EPA as a pesticide, posing risks to human health and environment. Suspected of causing cancer in humans. Capable of forcing emergence of ‘super bugs’ it cannot kill. Found in antibacterial soaps and some toothpastes. Chemical compounds used to soften plastics and make fragrances last longer. Known to be weak endocrine (hormone) disruptors and are associated with birth defects and asthma development. Synthetic substances containing a mixture of chemical additives derived from fossil fuels. Added to cosmetic products to give them a smooth, silky texture. Silicones trap acne-causing debris in the pores and leave a heavy coating on the skin that is difficult to remove. In addition to our commitment to creating safe and natural products for you, we are concerned about the well-being of animals, too. Therefore, our ingredients and products are not tested on animals. With the exception of a few products that contain contain beeswax (First Aid Stick and First Aid Ointment, Lip Butter and Lip Balm, and Relieve and Repair Muscle Rub), our products are made with 99 or 100% natural plant ingredients and are vegan.